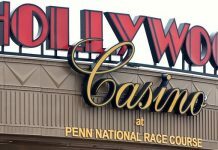 With 2018 officially in the books, many people are looking at the past year in gambling to make decisions about whether or not gambling was a successful enterprise during the year. There were gains made during the year, and celebrations to be had. 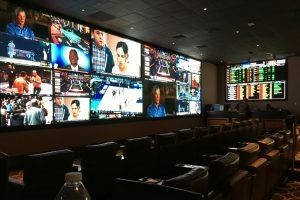 The Supreme Court ruling in May has expanded sports gambling into an entirely new landscape within the United States, and can be seen as a positive sign. 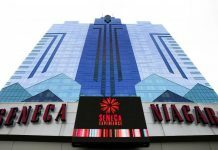 Several new casino properties have also opened up, and there were states that decided to expand their gambling into new areas. In the midst of all of the positives, there were some negatives. Many gambling experts believe that there were several things that happened during 2018 that could have been avoided. Both the United States and Europe saw major changes that may have negative effects on gambling protection moving forward. Steve Wynn was the embodiment of a Vegas high roller and casino operator. He came from nothing, and resurrected his father’s bankrupt bingo parlors as a newly minted scholarship graduate. He built an empire of hotel-casinos in Massachusetts, Las Vegas, and Macau. Operating revenue from Wynn Properties has been estimated at $8 billion dollars in 2017. While Steve Wynn has been successful at buying and developing luxury properties, he was not successful in his employee relations, which has left his empire, open to problems, and a slew of lawsuits. Wynn allegedly sexually harassed over a dozen of his Las Vegas casino employees over the years. 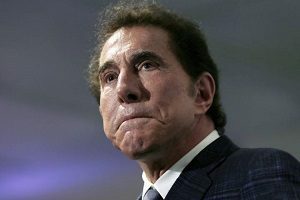 The year saw Wynn resign as chair and CEO of Wynn Resorts, although he remains the majority shareholder. He has very little power over day-to-day operations. This is a problem, because Wynn was extremely good at his job of designing and running properties that surrounded his customers in an aura of luxury. Now that he is gone, experts in the field have said that his casino resorts will not be able to live up to the Wynn standard. Sports’ gambling has been illegal in nearly all of the United States since the passage of the Professional and Amateur Sports Act in 1992. The only state where it was possible to bet on single sports was Nevada. However, the Supreme Court in May decided that states could decide for themselves whether to legalize sports gambling. While this was cause for celebration, it gave many gambling experts pause. The Supreme Court ruled that in reality, PASPA was not constitutional. The reason the Court decided the law was unconstitutional was because the federal government does not have the power to control commerce that happens in the states. The only commerce the government can regulate is commerce that happens between states, and with other countries. Speaking of regulation, the United Kingdom has been debating whether to tax gambling firms in their country additional money in order to pay for social services for problem gamblers. This has been an extremely unpopular move in the opinion of the companies. In addition, the government is considering the passage of new rules for fixed odds betting terminals, which act much like slot machines or video poker machines. The government plans to reduce the amount people can bet on each spin. Both companies and consumers have discussed taking their business elsewhere, which is bad news both for the British government and for consumer protection.